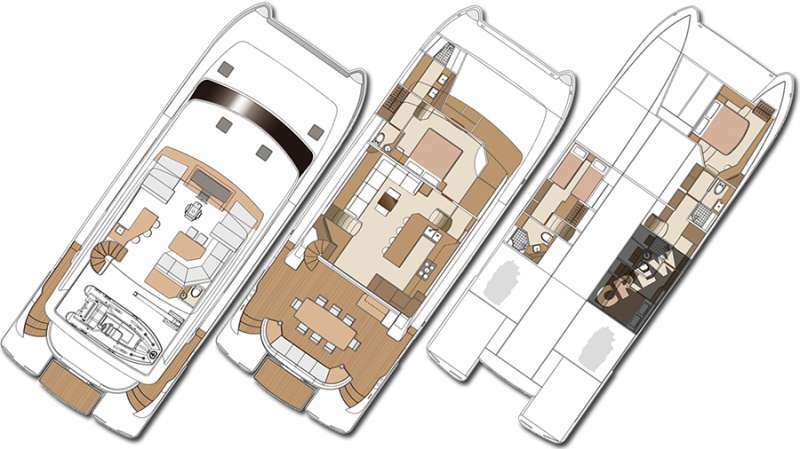 MUCHO GUSTO offers bespoke accommodation in a main deck master King Suite, a VIP Queen suite, and a Twin berth-or-King suite. Dominic has a sly sense of humor and although English is his first language, his command of German has proved very useful at times. He's also a keen athlete and tennis coach when the opportunity arises. Growing up in Cape Town Hannah has also been around water all her life. She's always swum competitively and was an accomplished dingy sailor throughout her teens. After leaving school and travelling extensively, Han found herself drawn to follow her love of cooking and all things culinary and put herself through culinary training to obtain her Diploma in Patisserie and Culinary Arts. She worked at some of Cape Town's premier restaurants and wine estates whilst studying. She is also a talented photographer and her positive outlook on life and strong work ethic makes her a great asset on any boat. 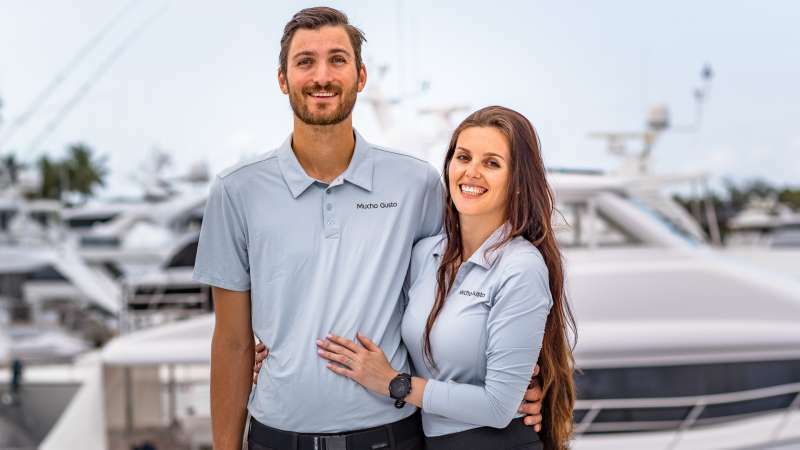 Together Dom & Han are a formidable team whose combined experience, ability and attention to detail will ensure guests have a warm and memorable stay on board MUCHO GUSTO!